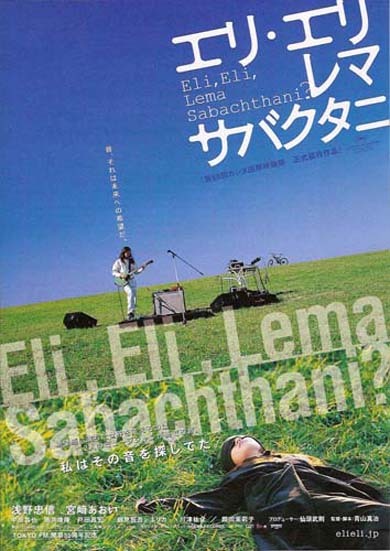 Movie: Eli, Eli, lema sabachthani? / My God, My God, Why Hast Thou Forsaken Me? On the same day of this word created from the depth of despair, the Christ passed away on the cross, A.D.2015, Virus has been spreading in many cities worldwide. It is a suicidal disease. The virus is infected by pictures. People, once infected, certainly come down with the disease, which leads to death. They have no way of fighting against the disease filled with fear and despair. The media calls the disease the Lemming Syndrome. There is an old country house which is located between Japanese mountains and sea. Young retired musicians, Mizui and Asuhara, live quietly surrounded with piles of music instruments. They are not quitting making music. They only abandoned their musician lives blessed with fame and talent in a city. They do not feel impatient. They continuously have driven themselves into their work. Their creation of sound flows with air. They have had a peaceful time. An aged plutocrat, his granddaughter, and a detective came to the country where Mizui and Asuhara live, from a city with the virus spread over, pursuing the way to escape from the death caused by the disease. The granddaughter is desperate with the symptom of the disease. 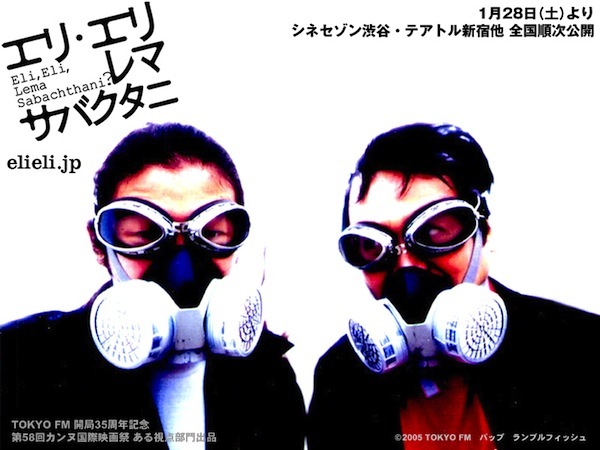 The detective caught the fact that in Mizui and Asuhara’s music, there are some secrets and important effects to prevent people from getting sick and dying of the Lemming Syndrome, even if they are infected with the virus. 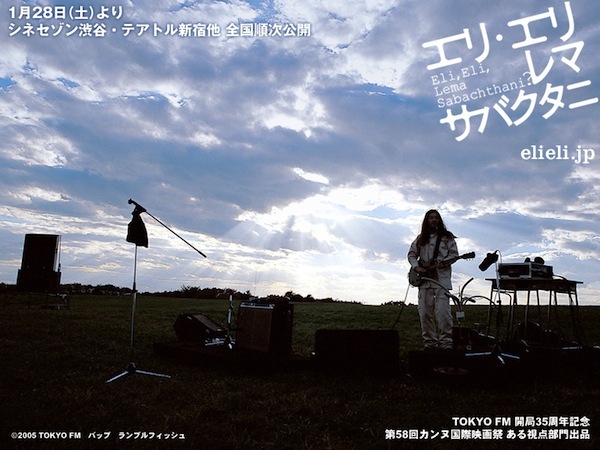 The aged man asked Mizui to play the music to save his granddaughter from the disease. 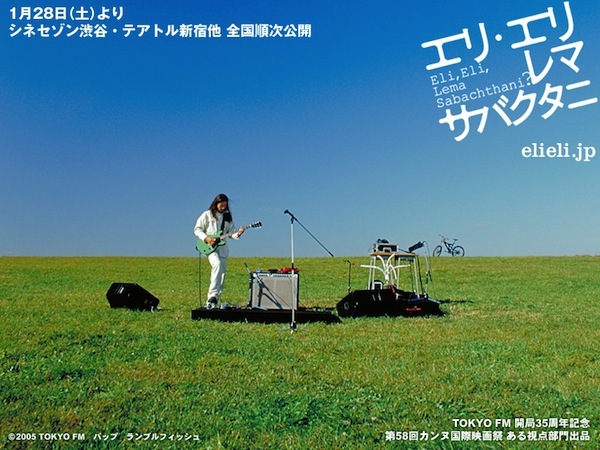 Mizui put enormous music instruments and started playing his music at the grassland in the quiet country as you can even hear the friction of leaves. Each of the sounds with long, low and high tone was mixed with each other, and rose up in the sky. The widely opened sky does not mute the sound, just swallow it. Will the miracle happen when the human body touches the enormous lump of the sound?. Bad Bone Jun 03 2010 9:53 am Look, listen, and explore music and musical instruments that aren't part of the mainstream. Showcasing unusual musical creations and sounds of unique artists and artisans from around the globe. From gourd music to electronic odysseys, harp guitars to industrial insects, from beautiful, to bizarre, to just plain wacky. New, unique innovations, along with heavily modified hybrids of instruments once formally known as guitars, basses, keyboards, drums, wind and stringed instruments.